A provincial coroner’s report in the wake of the death of Toronto child Jeffrey Baldwin makes 103 recommendations, several of which affect regulatory bodies, including the Ontario College of Teachers. See more here. Among other responsibilities, the Office of the Fairness Commissioner oversees the registration practices of the College to ensure they’re transparent, objective and fair for all teacher candidates. Find out more about what the Fairness Commissioner does. Collaborating and sharing helps keep professional regulators relevant to professionals and valuable to the public. See why College CEO and Registrar Michael Salvatori values every opportunity to connect with fellow registrars and members of the Canadian Network of National Associations of Registrars (CNNAR). Professionally Speaking wins at KRW Awards! The College’s flagship publication won a gold, a silver and 11 honourable mentions at this year’s Kenneth R. Wilson (KRW) Awards for Canadian trade magazines. See the College’s Facebook page to learn what impressed the judges. Mark your calendar now for the College’s conference on November 5 to 7 in Toronto. The conference, Inspiring Public Confidence, features English and French workshops focused on professional regulation, teacher education and the public interest. Hear Ken Taylor, former Canadian ambassador to Iran and subject of Academy Award winning film “Argo” talk about his experience in Iran. If you could give new teachers one piece of advice, what would it be? 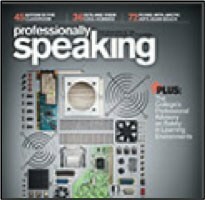 Let us know your thoughts on the topic in our latest Professionally Speaking poll and you could receive a Cineplex Entertainment gift package valued at more than $150 — including movie passes, food vouchers and more! Did you know that most of the books and resources reviewed in Professionally Speaking are available at the Margaret Wilson Library? 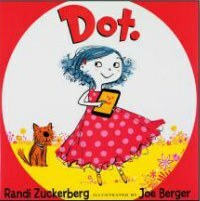 Dot, written byFacebook co-founder’s sister, Randi Zuckerberg, tells the story of a social media-obsessed little girl who discovers that the joys of being offline and outside far outweigh anything her mobile device has to offer. You can read the review here or reserve a copy today!